Use Department 56 Cross Product accessories to enhance your Halloween or Fall Village display. Haunted Well, detailed accessory full of fright and whimsy, Hand-crafted and hand-painted resin lit accessory. Battery pack included requires 2 C batteries. 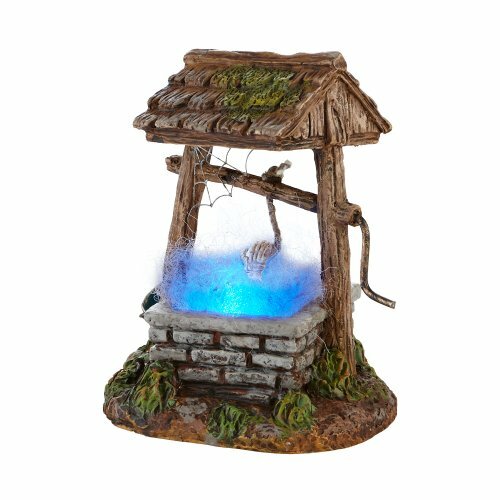 The eerie blue LED light through the "mist" if the well make this piece especially scary. .What lurks at the bottom? A ghost, a vampire, or?